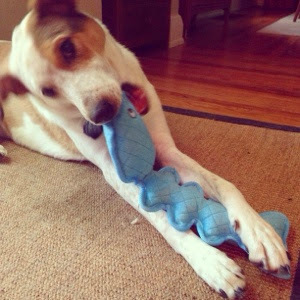 Maple & Friends: Surf's Up! 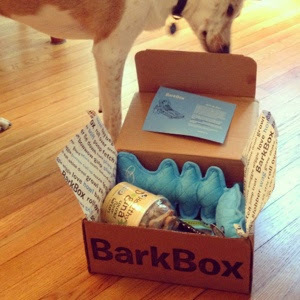 The July Bark Box is here! It might just be our favorite one yet. 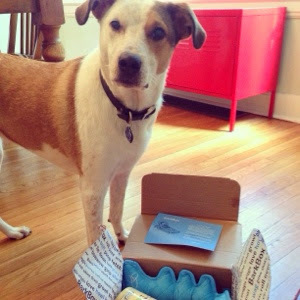 This month's box has a surfer theme and comes with a super cute neon blue Fish Bones toy by Loopies, Bixbi Daily Essentials Chicken Breast Jerky Treats (Maple can't get enough of them), Healthy Dogma Coconut Flavor Barkers (these look great and she can't wait to try 'em), Etta Says Duck Chew (this was gone in seconds), and Mr. Barksmith's Piña Colada Smoothie (in the freezer chilling). 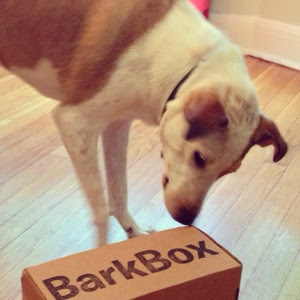 July's Bark Box was a big hit in our house. Even the cats wanted in on the action. 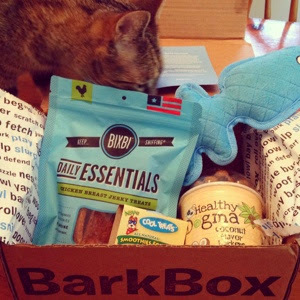 Bark Box never disappoints and we look forward to it every month. Can't wait to see what August has in store!! 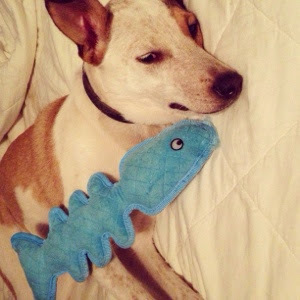 Thank you Bark Box!